Beautiful flowers were given to disabled chidren in the concert. 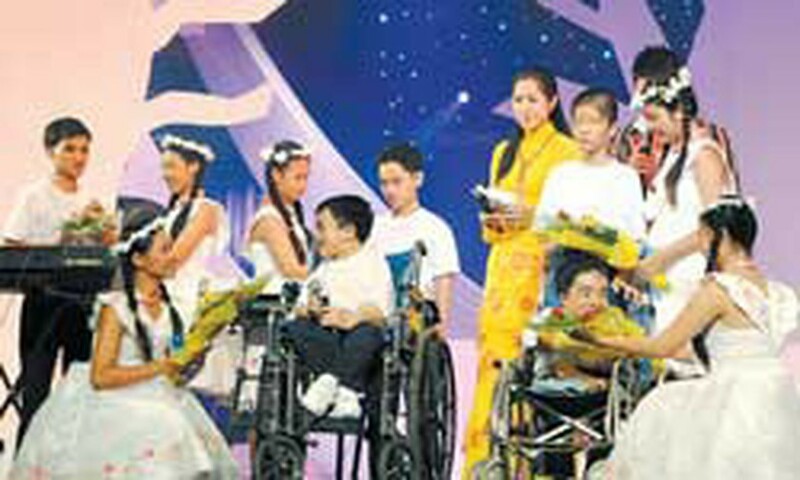 More than VND4.05 billion and US$10,700 was donated to support Agent Orange children victims and disabled at a fundraising concert titled “Humanity’s pain”. 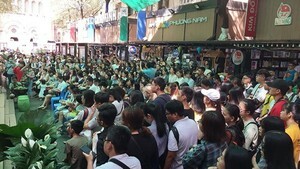 The concert had attracted many benefactors. The concert was organized by the Thien Phuoc Center for Disadvantaged Children and Ho Chi Minh City TV at the municipal opera house yesterday.